Pick your favourite colour – red, orange or yellow; we have them all! An excellent source of Vitamins C, A, K and B6. 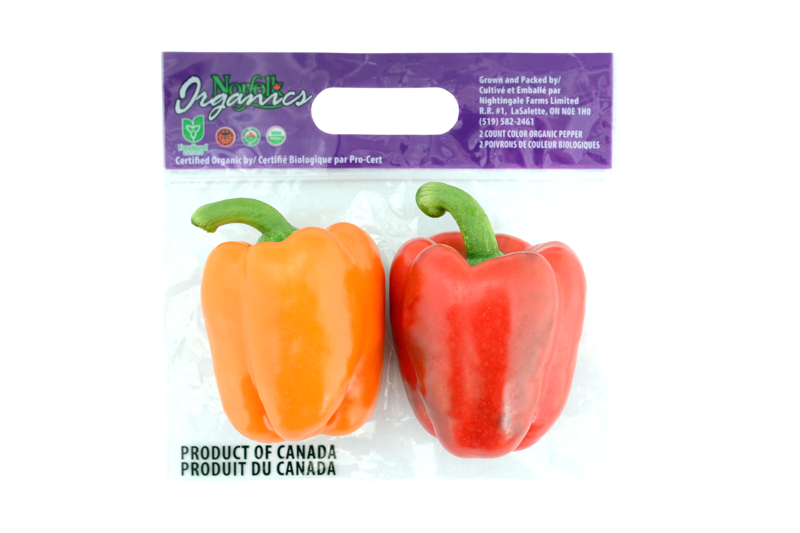 You can trust organic peppers to provide you with the essential nutrients you need. 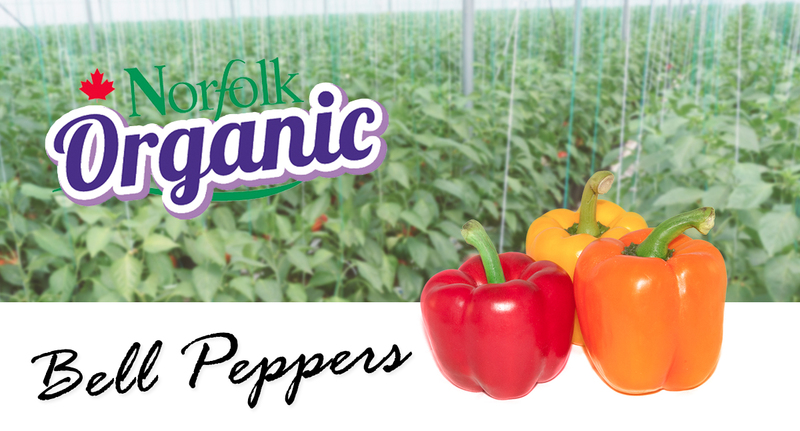 Our stem cut bell peppers are tunnel grown and allowed to mature to full colour before harvesting. Available in 5 kg cartons in all four colours. We also pack in 12×2 with two different options for packaging.